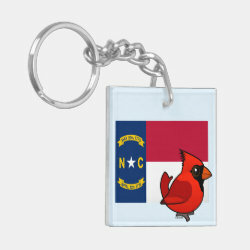 The state bird of North Carolina is the Northern Cardinal. 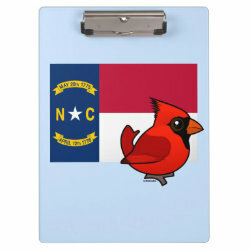 The Northern Cardinal became the official state bird of North Carolina in 1943. 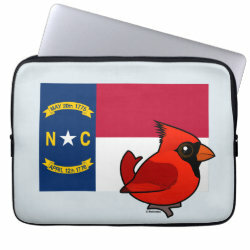 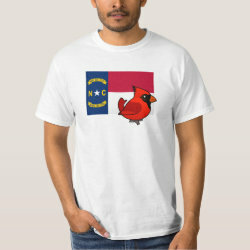 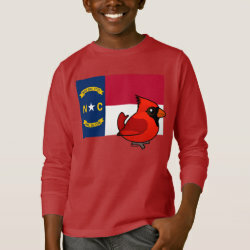 In this original cute cartoon design from Birdorable, our Northern Cardinal perches before more... the flag of the state of North Carolina. 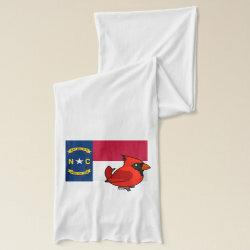 This makes a great gift idea for any North Carolina bird lover!